This, my friends, is a great example of how myopic reasoning by state departments of transportation can lead to horrible results at the community level. Today, Ron Beitler at Strong Towns tells the story of East Texas, Pennsylvania, where residents and community leaders agreed to reduce the speed limit on Willow Lane/East Texas Road through the heart of a residential area. Because this is a state road, the Pennsylvania Department of Transportation had to be involved. Residents submitted a petition signed by nearly the entire neighborhood requesting a speed limit reduction since they felt the speed didn’t match up with the residential character of the Village of East Texas. The township supported the request. In fact they even identify East Texas as a traditional town center area. In other words all interested parties who actually understand the context of the road agree. To actually increase the design speed of the road!!! Let that sink in. This my friends is insanity. 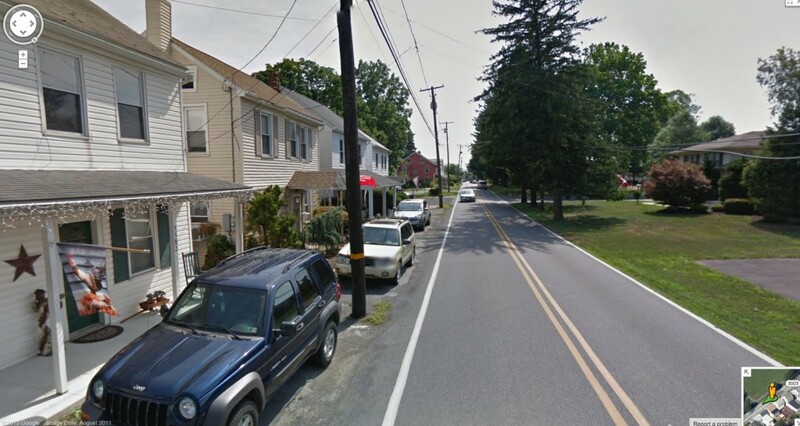 PennDOT’s answer is increasing design speed by widening the street, flattening the street, removing all trees so cars can drive faster, THEN posting a speed limit so they slow down? This letter reflects everything parodied in this wildly popular Strongtowns.org Youtube video entitled “Conversation with an Engineer.” Everything wrong with the “Ultimate Bureaucracy” ™ of PennDOT. Elsewhere on the Network today: The University of Oklahoma Institute for Quality Communities compares Tulsa and Oklahoma City’s relatively pitiful walking, biking, and transit rates with those of other cities around the country, in a series of graphics that are worth checking out no matter where you live. Bike Portland reports that a local nonprofit is helping low-income families get bike trailers. And Savannah Bicycle Campaign celebrates the city’s recent “Bike Friendly Community” award.